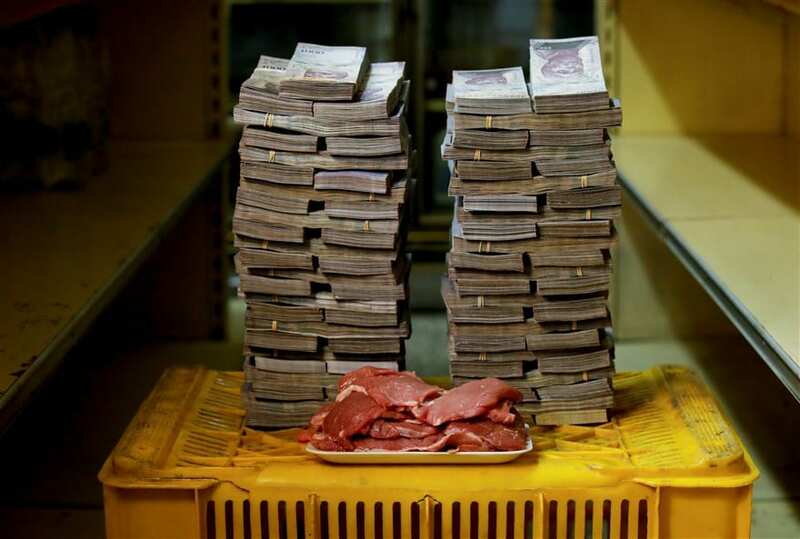 Banks closed Monday in Venezuela as they prepared to release the “sovereign bolivar,” a new currency printed with five fewer zeroes in a bid to tame soaring inflation. 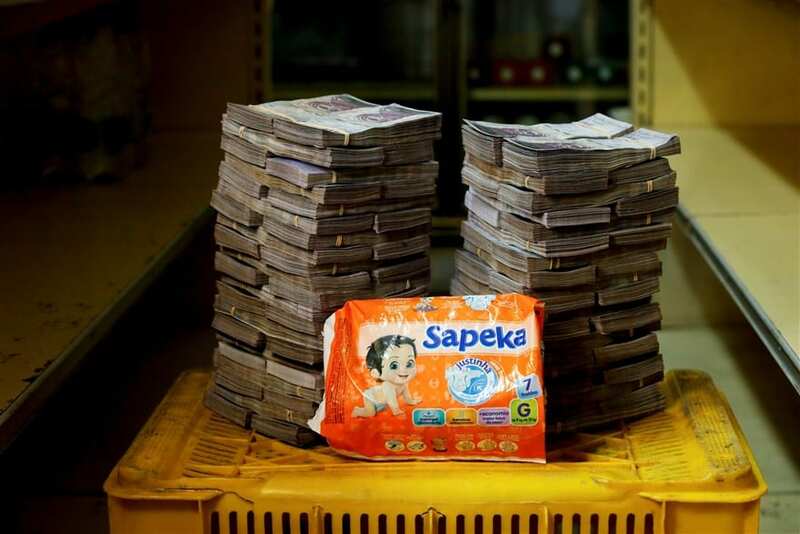 Here are a few pictures that illustrate the limited purchasing power of the old bolivar. 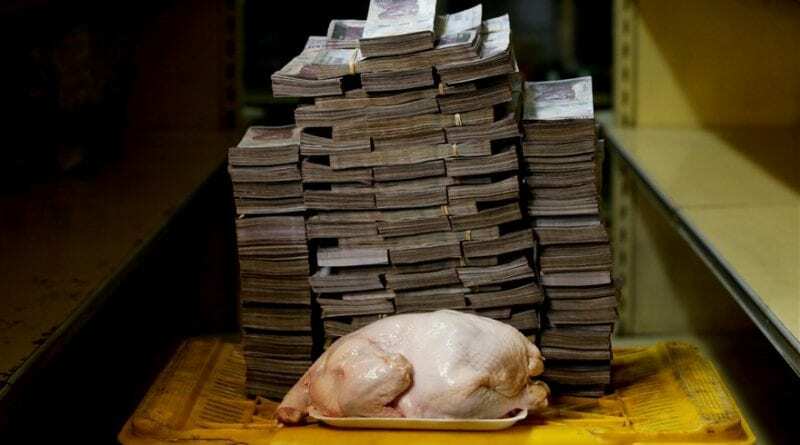 This stack of 14,600,000 bolivars, or about $2.22 U.S., would buy this chicken at a mini-market in Catia, a low-income neighborhood of Caracas on Aug. 16.